The NFL's kicker woes extended to the league-best leg of Baltimore Ravens star Justin Tucker, whose miss handed the New Orleans Saints a 24-23 win. Tucker – one of the league's most accurate kickers with the strongest leg – missed the first extra point of his career as the Saints overcame the Ravens on Sunday. 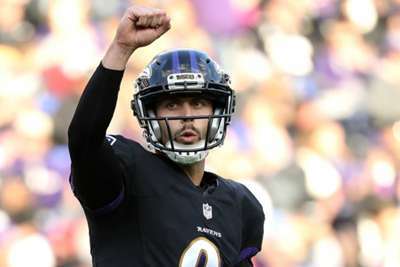 The Ravens had a chance to tie the game with less than 30 seconds remaining when quarterback Joe Flacco connected with John Brown for a touchdown. Baltimore opted to kick and send the game into overtime, unlike the Tennessee Titans who lost 20-19 to the Los Angeles Chargers earlier in the day, but Tucker missed the extra point. Tucker had been a perfect 222 for 222 on extra points in the NFL before the miss. New Orleans trailed 17-7 after the end of the third quarter, but Drew Brees threw for 212 yards and two touchdowns (501 for his career) to lead the Saints (5-1) to a key road victory. The Saints scored 17 points in the fourth quarter. Kickers have struggled in the NFL this season, and the plague must be intense if it extended to Tucker.